Another muggy day with heavy showers late morning. The Short-eared Owl was again seen on the NWT reserve in the dunes, with a Cuckoo calling from the south side of the grazing marsh, at least 2 Turtle Doves locally, 2 Med Gulls over calling, 3 Mistle Thrushes in the dunes and a Little Tern fishing over the Broadwater. In the moth traps things improved slightly with Privet Hawk Moth, Poplar Hawk and Eyed Hawk all caught this morning. Several Painted Ladies were along the east bank and a Green Hairstreak was a late record. Despite the humidity and forecast, the rain held off at Walsey Hills until late afternoon, though this didn't do much for bird activity. A Red Kite was seen in the afternoon to the south, 2 Mediterranean Gulls passed over to the west and a young Bullfinch was heard in the bushes. A Serin was again seen in gardens at the east end of the village. A late and very worn Green Hairstreak was also seen at Walsey Hills near the hide, but otherwise butterfly numbers remained very disappointing. 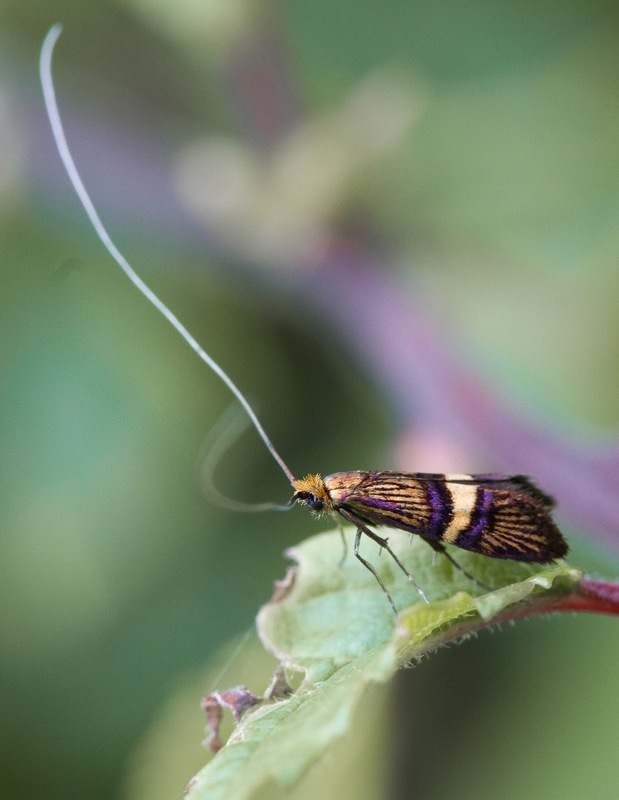 Moths of interested included Scoparia pyralella, Epiblema costipunctata and several Adela croesella around the viewing area.